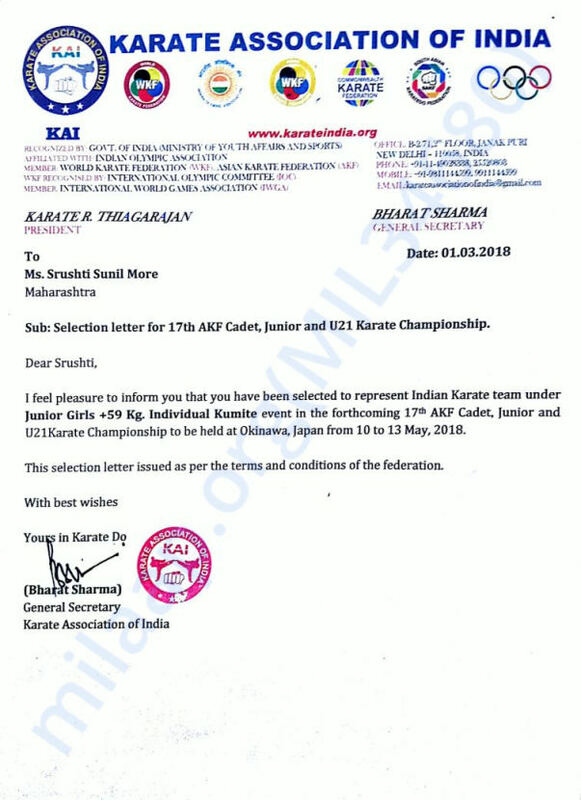 Being selected for Asian Karate championship where I will be representing India, . 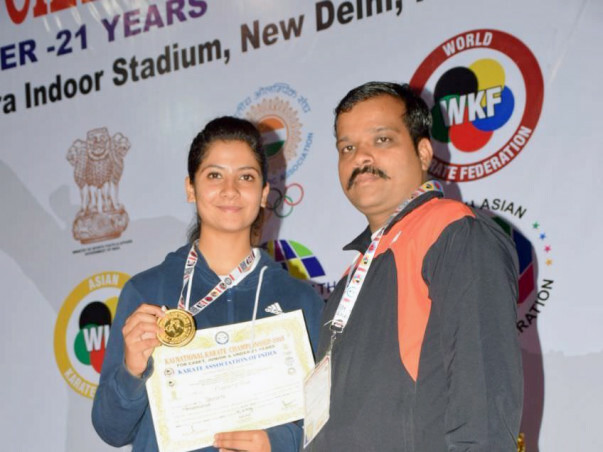 I got a help of one politician of rupees 20thousand.I even approached the PCMC government but due to the affiliation issues I couldn't get any help from there .Karate being an Olympic sport now it's affiliated by Indian Olympic association(IOA) also government of India (ministry of youth affairs and sports) it's not affiliated by the Maharshta Olympic association. Only because of this I couldn't get any help. I felt very sad hearing this.My mother being a single parent we can't afford to pay all on our own. I am just visiting all politicians from so many days but all in vain. I want to. Make my country proud and I will try my best to do so. All I need is your support. I am working hard as its my first time and I will represent India. I am the first ever player from pune who has been selected for this games. Please support and share this petition . This is my selection letter.